I’m going to paraphrase something George Clooney says in The Descendants. He’s talking about the perception of life in Hawaii from the perspective of those on the mainland. Life in Hawaii is a never ending beach vacation filled with Mai Tais, jet skis, and blissfully warm weather year round. Or so the mainlanders imagine. It’s a fantasy, and the reality is that Hawaiians have all of the normal problems in their lives, and the additional grip of living in the most expensive state in America. Though, of course, to that the mainlanders just shrug and say it’s the price of doing business in such a beautiful place. Everything always looks greener on the other side, right? 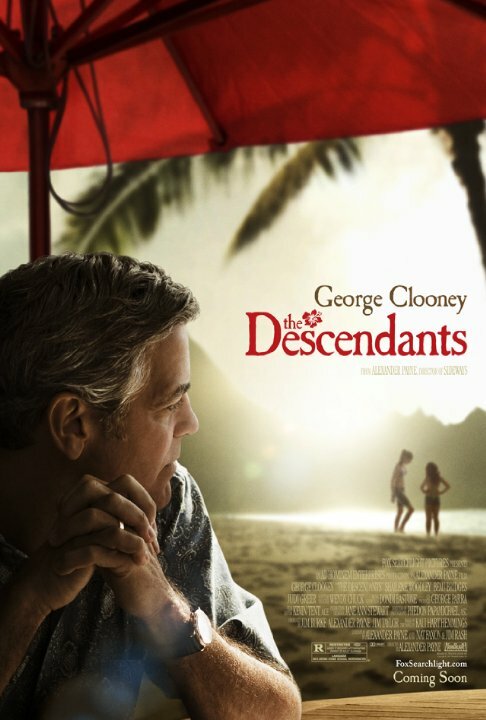 I liked The Descendants. It was very interesting for me to watch George Clooney. If any man was simply born to be in front of a camera, it is George. Normally, people do not look this good after 50, and it almost made me lose concentratuon on the events of the film as I was constantly being distracted by George’s good looks. “You are not supposed to look like that!” I screamed at my computer scream as I drunkenly flailed my arms and snapped my fingers. “You are not a human!” I didn’t even know what I was saying, I certainly didn’t mean to start accusing George of being an alien, but once the words had left my lips and they froze in the space between my skull and my computer screen it was clear there was no going back. “You are not a human!” I screamed again, but this time with increased fervor. It was beginning to feel natural. George’s tongue tangled inside his mouth and a few of his words came out muddled. Or did I just imagine that? “You are an alien! I see you!” Was that a flicker of fear I saw in his eyes? Was that a tremor of doubt? I picked up my computer and threw it into the wall. It shattered and exploded and a shower of electronic pieces and Clooney data sprayed across my face and body. It was over. Clooney had been conquered. The world was safe once again from the terrors of Clooney. Safe for now, at least.